The Cleveland Cavaliers could go far this season as long as Delonte West doesn’t show up with his…err…baggage. The 2009-10 RotoRob NBA Draft Kit wraps up today with our final team preview. As the games start to count Tuesday, let’s take a closer look at the Cleveland Cavaliers, a team built to win that will look to shake off last season’s playoff disappointments. The NBA’s top team in the regular season at 66-16, the Cavaliers breezed through the first two rounds with sweeps over the Detroit Pistons and Atlanta Hawks before running into the Orlando Magic in the Eastern Conference Finals. Presented with some difficult matchups, the Cavs dropped Games One and Four by a combined three points en route to being eliminated in six games despite a nearly superhuman effort from LeBron James, who averaged 35.3 points, 9.1 rebounds and 7.3 assists per game in the playoffs. Facing the knowledge that James could be donning another uniform in 2010-11, the Cavs swung for the fences during this offseason by picking up Shaquille O’Neal from the Phoenix Suns in exchange for a fistful of magic beans. O’Neal is coming off his best statistical showing in several years, but he turns 37 this season and it remains to be seen how much is left in the tank. Still, the team felt it needed an inside presence to deal with the size of players like Orlando’s Dwight Howard as holdover Zydrunas Ilgauskas is primarily a perimeter threat and Anderson Varejao is undersized at the five. For scoring purposes, Cleveland’s second banana remains Mo Williams, who is a good player that was artificially elevated to All-Star status because of the Cavs’ success. Williams isn’t a prototypical point guard, but with James around to facilitate the offense, that isn’t really required of him. What Williams can do well is knock down jumpers, and he was deadly from beyond the arc last year (43.6 per cent). He’ll be joined in the backcourt by newcomer Anthony Parker, an import from North of the border (and before that, was the top player in Europe) that can bury the open trey. He’s also a solid perimeter defender, and at 6-foot-6 offers more size than either Delonte West (6-foot-3) or Daniel Gibson (6-foot-2). While the additions of O’Neal, Parker and Jamario Moon should help, Cleveland’s hopes once again sit squarely on the shoulders of King James. Given the uncertainty surrounding James’ future in Cleveland, we should see maximum effort from the supporting cast, who certainly can’t be looking forward to life without LBJ and will want to convince him to stay by showing they can win an NBA title. That goes for the front office as well, so don’t be surprised to see the Cavs be very aggressive if they have a chance to upgrade their roster before the trading deadline (Rudy Gay, anyone?). Entering the season, there are only five or six teams you must mention when discussing potential NBA champions: Boston, Orlando, Los Angeles Lakers, San Antonio and Cleveland (Denver is No. 6). Playing in a shaky division should help the Cavs stay in the hunt for home court advantage, and if they can get enough support for James this could be the year Cleveland finally breaks through. While we couldn’t consider there to be too many “battles” going on in Cleveland, the team will almost certainly juggle minutes in an effort to keep O’Neal and Ilgauskas relatively fresh throughout the season. Also, look for their wing rotation to take some time to settle with Parker, Moon and West jockeying for position. 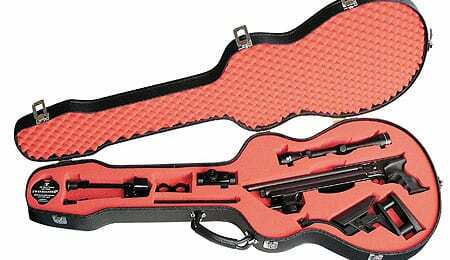 Of course, if West brings his guitar case to practice expect him to start seeing the bulk of the playing time. While I’m sure some people will talk themselves into Chris Paul as the top overall pick, the bottom line is that nobody fills up a box score like LeBron. The guy can shoot, rebound, pass and play lockdown D. Expect another season of close to 30 points and better than seven rebounds and seven assists a night along with solid shooting numbers. O’Neal enjoyed a bounce back season in 2008-09, averaging 17.8 points, 8.4 rebounds and 1.4 blocks per contest while playing in 75 games — his most in nearly a decade. That’s all well and good, but Phoenix’s training staff worked miracles last year, which included coaxing 82 games out of Grant Hill, and anyone expecting the Cavs to ask O’Neal to play that many games or minutes this season is fooling themselves. Ultimately, Cleveland wants Shaq to be a force in the playoffs, so expect him to sit out the second game of back-to-backs while ceding minutes to Ilgauskas on those nights he does play. As a result, look for O’Neal’s numbers to drop across the board. Outside of James, there isn’t a ton of value to be found in Cleveland. Williams is steady, but O’Neal and Ilgauskas should be see dips in production, which doesn’t leave much room for sleepers. Of the remaining group, we’d say Parker has the most upside because his size should earn him more burn than West, and he’s a capable three-point shooter when left unguarded. That being said, Parker still isn’t worth drafting in standard leagues. First-round pick Christian Eyenga chose to remain in Spain this season, leaving Daniel Green as the only rookie on the roster. Green’s areas of strength (three-point shooting, defense) appeal to Cleveland’s game plan, but there simply aren’t enough minutes to go around right now. There’s not much to see Fantasy-wise in Cleveland outside of James, which leaves watching how the Cavs split the minutes between O’Neal and Ilgauskas as the most interesting subplot by default. Given Granger’s recent injury history, I opted for the durable Bryant, despite my distaste for having to root for him. Sure, his name may be bigger than his slowly declining numbers these days, but Kobe still provides plenty of points, he’s a great FT shooter and will be a very good source of steals. There’s no real downside to owning Bryant, so I had to bite the bullet. The Houston Rockets were a very solid team in 2008-09, both from a real-life and Fantasy perspective. Houston finished second in the Southwest Conference with a record of 53-29, then knocked off the Portland Trail Blazers 4-2 in the first round of the playoffs. Though they weren’t given much chance against the powerful Los Angeles Lakers, the Rockets took the eventual champs to seven games before finally bowing out. The 2008-09 season was business as usual for the Utah Jazz: Play inspired ball at home (33-8 record), putrid ball on the road (15-26), do enough to make it into the playoffs (third in the Northwest Division and eighth in conference), then take a playoff beating from a clearly superior team (lost to the Lakers 4-1). Such has been the history for the Jazz, which, despite earning a playoff berth 23 of the past 26 seasons, has yet to reach NBA pay dirt. Utah also has possibly the least appropriate nickname in sports; seriously, when was the last time you heard anyone gush about the smokin’ hot jazz scene in Salt Lake City, Ogden or Provo? Your days in the French Quarter are 30 years’ worth of over, fellows – what about updating the nick to something more Utah apropos? Such as…maybe…umm…ahhh…well, there has to be something better than Jazz, doesn’t there?